In addition to Vanessa’s family law practice, she also assists clients with their wills and estates needs and any Landlord and Tenant disputes. Vanessa studied business at Wilfrid Laurier University prior to attending law school at the University of Windsor Faculty of Law. Throughout her academic career, Vanessa was consistently on the Dean’s List. During law school, Vanessa was President of the Windsor Law Athletics Association, co-chaired the Career Development Advisory Committee and was heavily involved in intramurals, where she was awarded the Intramural Sports Female Participant of the Year award two years in a row. After graduating law school in 2017, Vanessa articled at a reputable full-service firm in London, Ontario. 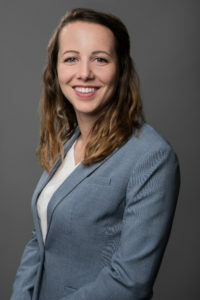 After Vanessa’s Call to the Bar in Ontario in 2018, Vanessa was pleased to join the Matlow Miller team. Being born and raised in the region, Vanessa has deep ties to the community and is eager to grow her practice in her hometown. Vanessa is a member of the Shades Mill Law Association in Cambridge and the Waterloo Region Law Association. In Vanessa’s personal time, she likes to meet members of the community through various sporting endeavours.